Facts and information about the History of Clothing and regalia of Native American Indians and their Roach Headdress. The traditional Roach Headdress was worn by the warriors of many Native Indian tribes including the Sauk, Fox, Ponca, Pequot, Osage, Omaha, Lenape (Delaware), Kansa, Crees, Mohawk, Huron and the Pawnee. Different pictures of Native Indians wearing various styles of roach headdresses can be found via many the above articles. The Roach headdress, also called porcupine roaches, was often worn by warriors, together with war paint to intimidate their enemies. The history of traditional or ceremonial dress and regalia worn by Native American Indians is a fascinating subject. The following fact sheet contains interesting facts and information on Roach Headdress. Roach Headdress Fact 5: The crest was held open by comb-like object called a roach-spreader. Fact 11: Many warriors used a single eagle feather as a decoration. Fact 14: The modern hairstyle most commonly associated with the roach headdresses is incorrectly referred to as a 'Mohawk' or a 'Mohican'. 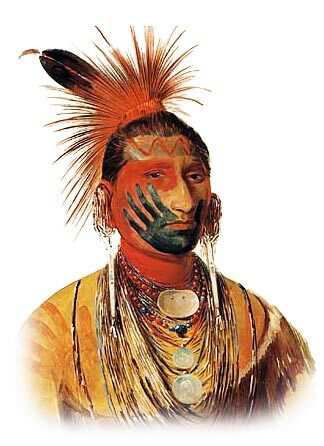 The men of the Mohawk tribe plucked, rather than shaved their hair leaving short tufts which they then dyed with red ochre and then braided.